Leech Lake: Just 8 miles north and west of Longville is Minnesota’s 3rd largest lake. 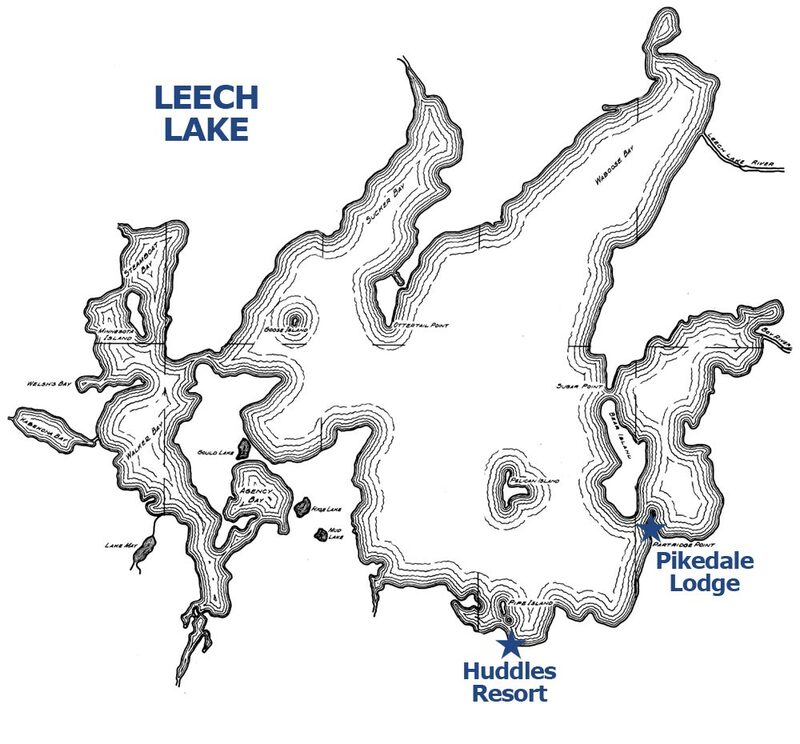 Leech lake spans nearly 30 miles east to west and 24 miles north to south. The clear green tinted water holds a wide variety of game fish including Walleye, Northern Pike, Large Mouth Bass, Small mouth Bass, Crappies, Sunfish, Suckers, Tullibee and Eel Pout. However, the lake is most noted for it’s Muskie fishing.